In the world of electronic music, experience has become a vital transmission to transcend the mind and uplift the spirit of music itself. SWITCH Headphones allow users to experience Silent Cinema™, Silent Disco™ and Silent Concert™ by using multiple audio transmissions that are presented in unique ways enabling users to choose the music they want to hear from up to three channels. Countering a venue’s noise restrictions, this multi sensorial experience is as much a solution as it is unique as a thousand people can be dancing to non-existent speakers! SWITCH headphones have been used at Embassy Playground Festivals, W Hotel Bali, Four Seasons Jimbaran Bali, Maja House Bandung, Dia.Lo.Gue, and many more. notification lights: Red, Green and Blue. 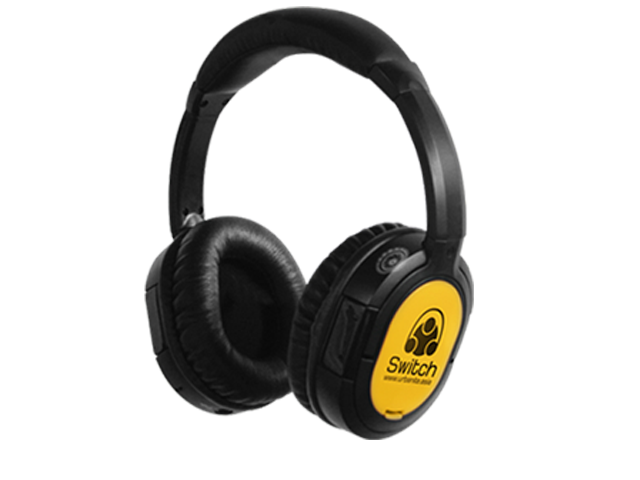 SWITCH headphones are perfect for those seeking Silent Disco™ type of events where noise restrictions apply at a venue. Up to three different DJs or live bands can perform simultaneously, with the audience then choosing whom to listen to at anytime. There are no speakers and thus no music in the open, except for the cheers and singing from the audience themselves! Experience concert quality music with your friends without disturbing your neighbors! With Silent Cinema™ anyone can watch up to three movies simultaneously at any indoor or outdoor spaces. SWITCH headphones enable users to watch different movies from up to three screens shown with the additional perk of choosing which to listen to as they wish. Having a multi-lingual conference will now be a breeze with SWITCH headphones. With up to three channels, different language speakers can now speak simultaneously to the same targeted audience in one room. SWITCH packages are available for any type of events. We have participated at festivals, art galleries and F&B outlets. We can cater to your specific needs! ©2013 Copyright CV UrbaniteAsia. Switch Headphones, Silent Disco™, Silent Concert™, Silent Cinema™ & Big Igloo are Properties of CV UrbaniteAsia. Jakarta - Indonesia. 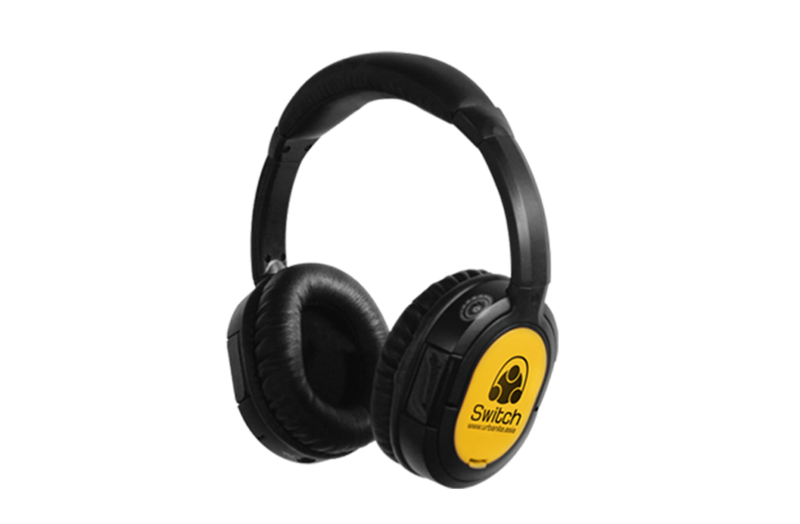 SWITCH headphones are perfect for those seeking Silent Disco ™ type of events where noise restrictions apply at a venue. Up to three different DJs or live bands can perform simultaneously, with the audience then choosing whom to listen to at anytime. There are no speakers and thus no music in the open, except for the cheers and singing from the audience themselves! Experience concert quality music with your friends without disturbing your neighbors! SWITCH packages are available for any type of event. We have participated at music festivals, art galleries, private homes and various F&B outlets. 2013 Copyright CV UrbaniteAsia. Switch Headphones, Silent Disco™, Silent Concert™, Silent Cinema™ & Big Igloo are Properties of CV UrbaniteAsia. Jakarta - Indonesia.